Since our cars didn\'t come with remote unlocking/locking, I find it tedious depending on how dark it is to get my key in the hole to unlock the car. I\'ve seen on other cars in the past have had an illuminated bezel or even a light behind the key slot to make it easier to find in the dark. \r\nHas anyone ever added this feature to their CB? \nAnyway, in terms of the CB locks, the first idea (the key slot itself) wouldn\'t be very easy, as the CB has a metal flap covering the hole to keep dirt and rain out. It looks like on the RX-7 either the flap is left off, or is made of plastic - it would be tough to make a plastic replacement that tiny. The second idea (a ring around the outside) would also be tough because the CB locks are recessed without a protruding bezel, and require the key be inserted all the way - though I would imagine a variation of this idea might theoretically be doable. Perhaps inserting a clear plastic \'washer\' in front of the cylinder itself, but behind the metal trim (pushing the cylinder back slightly) with an LED pointed at it from the inside? 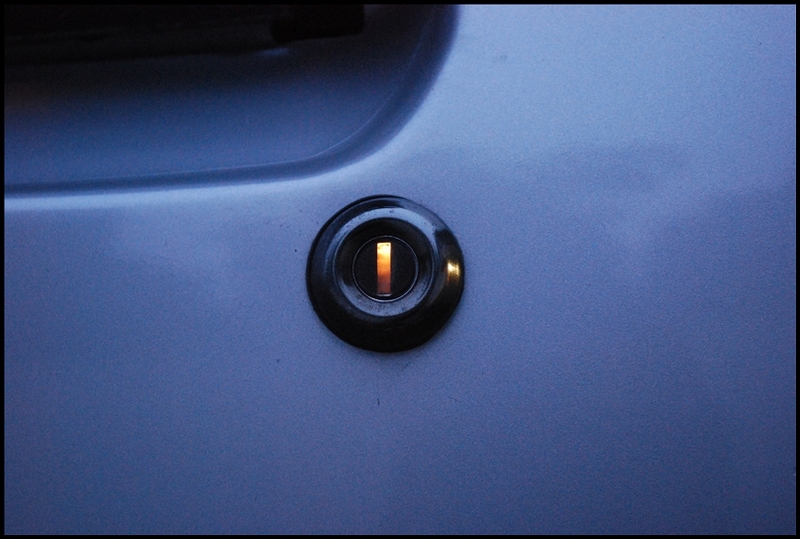 Or maybe the entire metal trim can be pushed back a bit and a ring added around the outside of that (similar to the ignition light ring)? Or maybe just the bezel ring from the GM one added to the CB making it stick out? In the case that any option causes problems with the key no longer being long enough, you could get a newer (specified as the 94-97 part) OEM honda key, as their stem is a little bit longer. 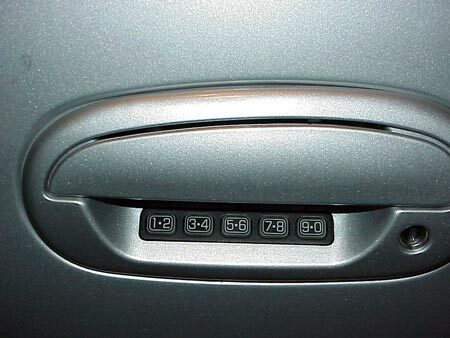 \nPersonally I would prefer the lock hole be entirely removed, with a Ford-style numeric keypad <pic> mounted inside the recessed area under the handle, but I don\'t think a ford one would actually fit. Then, illumination could be mounted up inside the handles pointed downward... which, now that I think about it, illuminated handles <pic> on its own would be a cool mod. \nI\'d love to see something like this done because I enjoy these types of small detail mods! 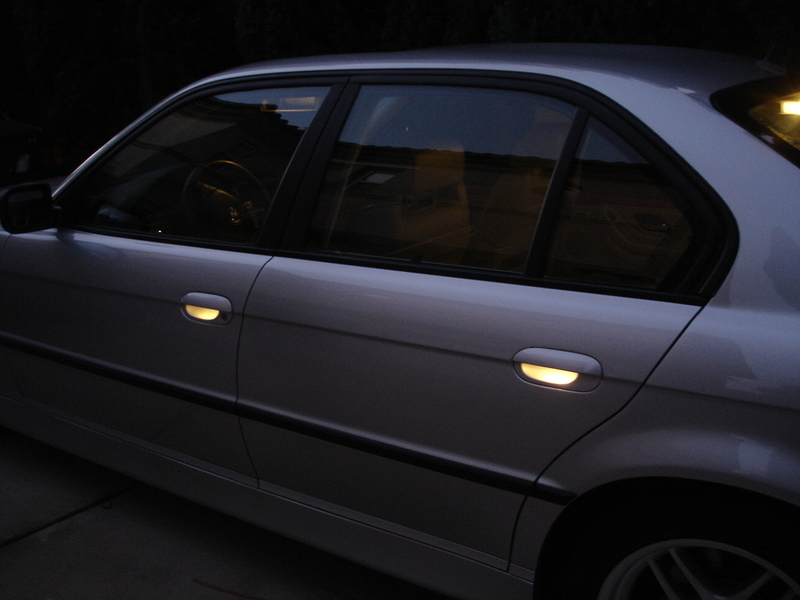 I\'m definitely more for the illuminated handles. I got rid of all my sedan handles a while back, but I decided I wanted to do that mod again recently. I just keep forgetting to grab them at the yard. \r\nI think the more yellowed light on the picture Mike attached looks better than the bright LEDs I\'ve seen before. I have a passive keyless entry with push button start. With the key fob in my pocket the car unlocks as I get up close to the door. Then locks after I walk about 10-15 feet away. I got rid of my handles with key locks. My fob does have a flip out key on the side to get into the trunk if I need to. I’ll just call AAA if something takes a crap anyways. 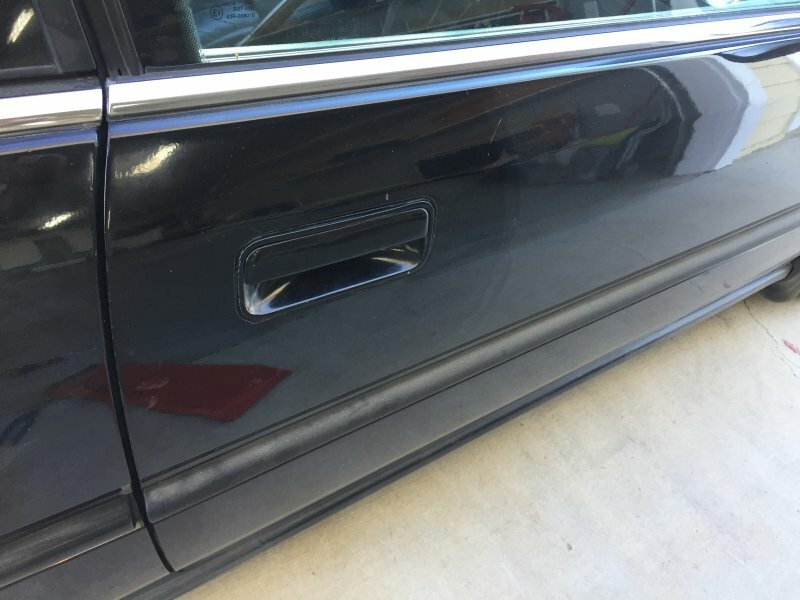 The door locks look hideous. I love the way my car looks without them. \r\nNow with this setup it would be cool to have the door lights under the handles. I’m assuming hitting the unlock button would make them illuminate. Since our cars didn't come with remote unlocking/locking, I find it tedious depending on how dark it is to get my key in the hole to unlock the car. I've seen on other cars in the past have had an illuminated bezel or even a light behind the key slot to make it easier to find in the dark. Has anyone ever added this feature to their CB?